I was a HUGE fan of the reality tv show "The Jersey Shore". My Thursdays turned into Jerzdays for six seasons. I was hooked. All good things must come to an end. I thought the series should have ended in Italy, but the producers decided to squeeze one more sad season on the boardwalk. Nicole and Jenn are married with children. Deena is married and Vinnie and Mike both have serious girlfriends. 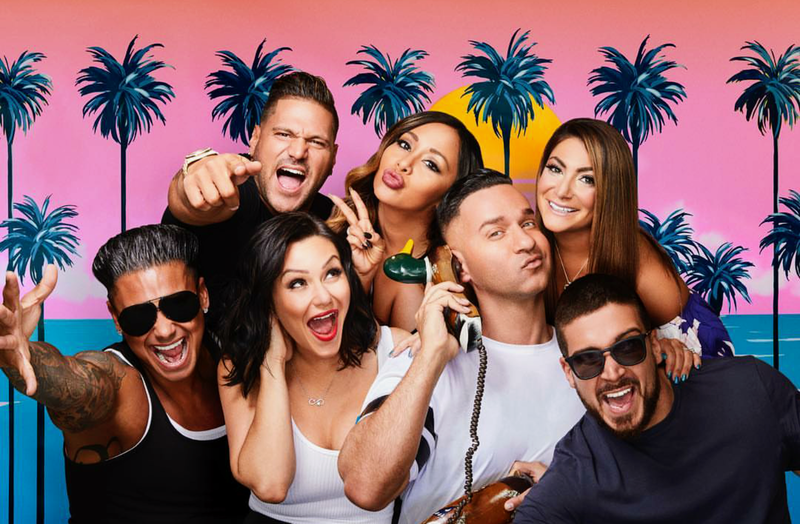 Pauly is the only single cast member. No spoilers, but even though years have passed, everyone is pretty much the same, except for one MAJOR change. PLASTIC SURGERY. I was distracted during the entire premiere looking at Nicole's terrible lip injections. Everyone has had way too much botox. It's sad. There comes a time when you have to look in the mirror and know you have gone from naturally attractive to some plastic wax person. I'll still watch, but my hope will be the cast will read the thousands of comments and realize enough is enough! !